The Edge is a daily download service that includes predictive signals and indicators for the Australian Dollar, Gold Futures, S&P 500 Futures and Live Cattle Futures. The signals and indicators are produced by market timing models. 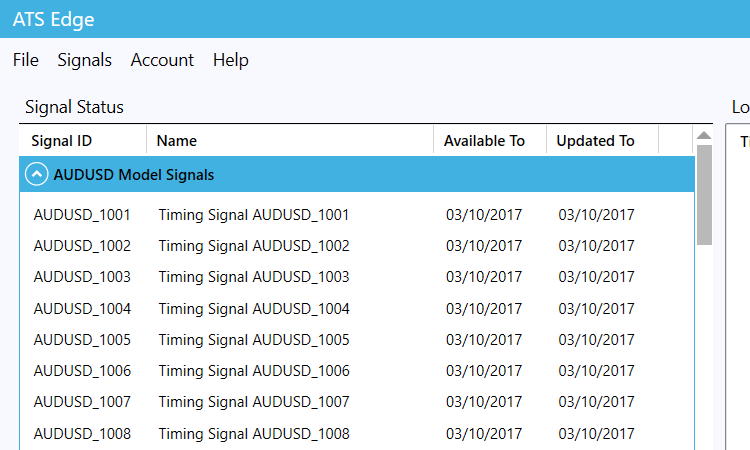 Signals are downloaded in CSV format using a Microsoft Windows application provided by AdaptiveTradingSystems.com. 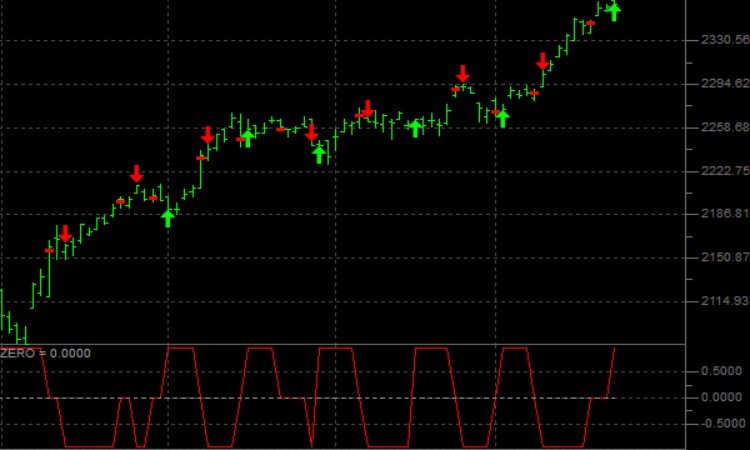 The signals that you see in the image were generated by a 'master' trading signal published in November 2011. Still working reasonably well over 5 years later. Signals downloaded in the evening apply to the close of the day session on the following trading day. Friday's signals are available on Saturday and apply to the close of the day session on Monday. Out of the market when the signal value equals zero. Long when the signal value is greater than zero. Short when the signal value is less than zero. 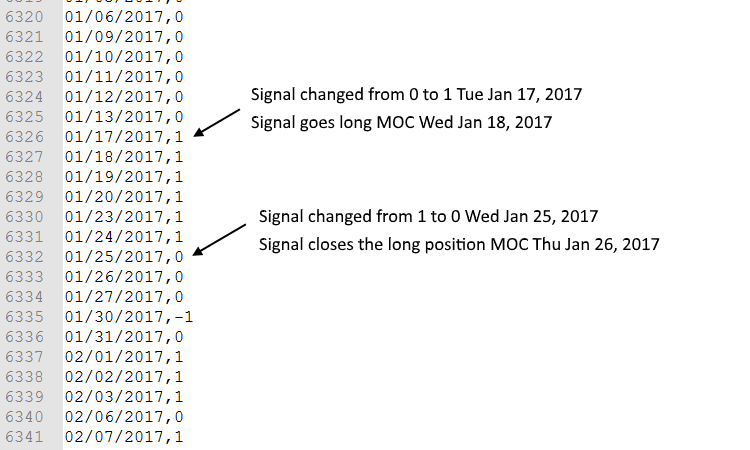 The majority of signals correspond to market timing models. Master signals are signals that are computed using an ensemble of signals. The signals are downloaded daily using the ATS Edge application. They are usually ready by 9:00pm CST. If the data that is required to compute the signals is late or extra data vetting is required then the signals will be late. Emails are sent out to subscribers of The Edge when the signals are ready for downloading. Subscribers are also notified when there is a significant delay.